Legends appear in every field of endeavor, whether it’s sports, the arts, science, cuisine, and even film criticism; but though there are many legendary figures only a select few have the distinction of truly transcending cultural and societal boundaries. Immediately names like Michael Jordan, Wayne Gretzky, Jack Nicklaus, and Babe Ruth may spring to mind but there was only one man who showed why he was truly giant, literally and figuratively. 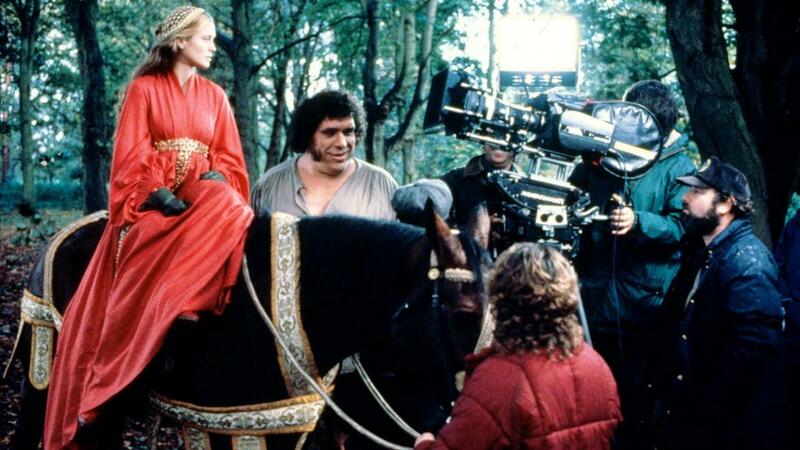 His name was Andre Rousimoff, better known as Andre The Giant, whose mythological and tragic life story feels fitting for a fairy tale. In HBO’s latest documentary simply titled Andre The Giant commemorating the 25th anniversary of his death, a fascinating portrait of this “Eighth Wonder of The World” emerges giving viewers unique insights into the seemingly storybook career of the man they called Andre. Standing 7 feet 4 inches tall and weighing 520 pounds, Andre The Giant (1946-1993) was a big man in a sport (professional wrestling) with a plethora of big men. Yet even the biggest competitors still looked tiny compared to the Frenchman. 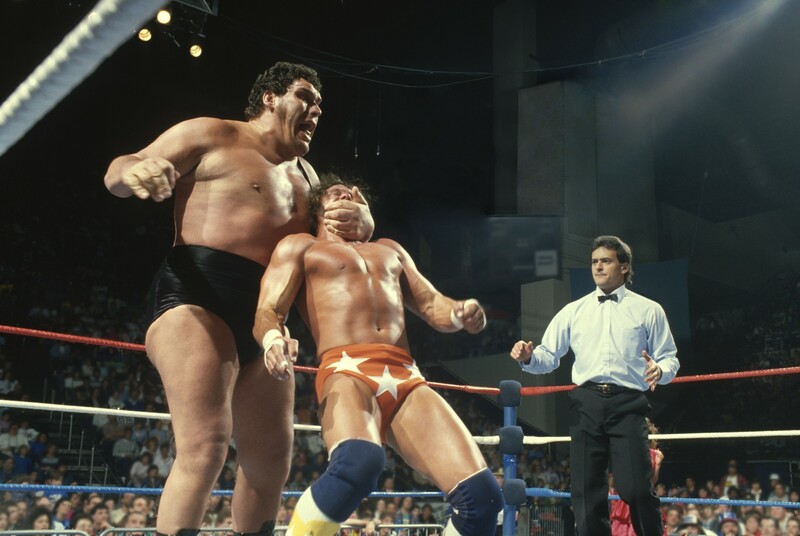 With a size 24 boot and 16-inch hands the physical dominance of Andre inside the ring was unparalleled; tragically the source of his greatest notoriety would also be the source of his greatest physical and emotional suffering. The documentary directed by Jason Hehir and produced by HBO Sports and Bill Simmons (of The Ringer and formerly ESPN’s 30 For 30) does a commendable job at spotlighting the saddening duality of Andre’s existence. Though he was admired and loved in the wrestling world by fans and colleagues alike, the daily burden of simple tasks would prove to be dark spots for this jovial and gentle giant; coupled with mockery from people (at airports or any other public place) and the physical struggles of carrying around such a body, the “Giant from the French Alps” put on a happy front for the sake of the wrestling business he loved. Featuring numerous interviews with wrestling historians, promoters and other influential wrestlers, Andre The Giant offers us fascinating tidbits into his career as well as intriguing insight into the history of professional wrestling from the 1970s onward. Highlighting the dissolution of the various wrestling territories and the eventual national expansion of the then WWF, Andre’s role became increasingly important to promoters like Vince McMahon Sr. and Jr. The latter’s boldness in realizing the potential of cable TV for the growth of the sport would only be solidified with the likes of Andre under his watch. With names like Hulk Hogan and Randy Savage under his contract, the younger McMahon had the perfect arsenal talent for his dream of a wrestling empire and Andre was undoubtedly a leading soldier. If there are any major criticisms of the documentary it may be that it at times comes off as Andre’s story as told by the WWE, instead of the wrestling industry in general. Granted there are a number of external commentators who share their perspective (including Princess Bride director Rob Reiner and co-stars Billy Crystal, Robin Wright and Cary Elwes) but the large majority of interviewees all have considerable ties to the WWE. On the other hand, however, the role of WWE in reshaping the current wrestling landscape is indisputable and some of Andre’s greatest moments came under the WWE banner. Stories and anecdotes from the likes of Hulk Hogan, Ric Flair, Vince McMahon, Gene Okerlund and Tim White (Andre’s closest friend) provide both laughs and tears. The infamous tales of Andre’s capacity to intake alcohol (he was said to drink up to 26 beers in one night and 4 bottles of wine) or his noxious bouts of flatulence are both comical and astonishing. A figure like Andre is certainly one filled with urban myths and sensationalism but to hear these first-hand accounts from the people who knew him adds a layer of realism to the mythological man. But despite the lighthearted moments, the overarching theme of this documentary besides celebration is one of contemplative sadness. Though it seemed that Andre was king of the world, he was, in fact, a long-suffering person. Physically his disease of acromegaly (a disorder of the pituitary gland producing excessive growth hormone) crippled him as he aged, while the cruelness of society mocked him; despite the arenas full of fans who cheered his name, even just a small crowd of gawkers at a restaurant would make this mountainous man cry in sorrow. His life was one of contradictions where he was revered as a God in one half while greatly struggling in the other. Ultimately he died alone in a hotel room in Paris at the age of 46, a moment emotionally recounted by Tim White and Vince McMahon; it’s a surprising scene of genuine emotion particularly from McMahon. Yet despite the inherent sadness of Andre’s condition his infectious joie de vivre is brilliantly recounted and the blending of archival footage along with those stories creates an appreciation for him even among those unfamiliar with his in-ring exploits. Alongside some fascinating insight into his wrestling matches and personal life, HBO has crafted a thoroughly entertaining and moving documentary feature. Wrestling fans may get more out of this than other viewers (the story behind his famous match with Hulk Hogan at WrestleMania III is absolutely captivating) yet anybody who has an awareness of pop culture in the last 40 years will be intrigued by Andre’s story. Whether one followed his in-ring career or merely knows him from his role in The Princess Bride, this documentary stands as a standout biographical work. Separating fact from the numerous points of fiction surrounding his life. Andre The Giant is a handsomely crafted glimpse into Andre’s world. Though wrestling icons include Hulk Hogan, The Undertaker, and Stone Cold, only one man literally shook the wrestling world. From the rural farmyards of France to the brightest lights in America, Andre The Giant loved, laughed and cried and we join him on this rollercoaster journey with a documentary as unique as the man itself.